Running a Gymnastics Program in your school can be a daunting task, we're here to help you! An all day clinic encompasing the LaunchPad Ignite! face to face module, program planning, and 4 weeks of lesson plans. We come to your school and work with you for the day to design and setup your own gymnastics program that your students will love, using the equipment that you already have. We supply accredited, experienced Gymnastics Coaches to work with you to help deliver your program, or to deliver a program for you. Gymnastics Victoria has outsourced the delivery of the LaunchPad™ Ignite! 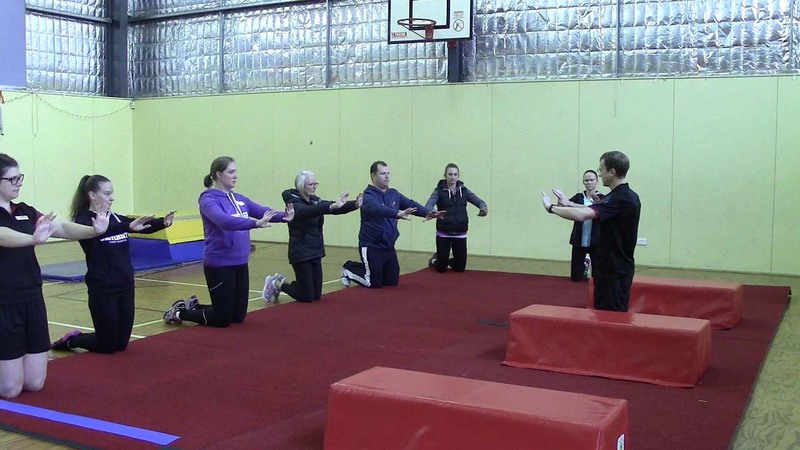 face to face module required to run a 'Teacher Delivered' Sporting Schools Gymnastics Program to us. In 2017 we ran our first workshop at the annual ACHPER conference, with a packed out session, and 36 deg heat, it was awesome to get only 4 and 5 star reviews! You may also want to ckeck out some of our Online Resources. Create a free login for yourself if you don't already have one, so you can have a look at some examples. We add more and more on almost a daily basis, with lesson plans, work programs, video demonstrations, and much more, you're bound to find something that'll help you out. And if it's not there, just can send us a request message. We may be able get what your after up there for you.